About • Burns Lake Community Forest Ltd. In operating safely and profitably. In providing benefits to the Province, our shareholders, partners, First Nations, and residents of the Lakes Timber Supply Area. In providing opportunities for local employment to residents and First Nations. In increasing forest productivity in an innovative and environmentally sustainable manner. In supporting opportunities for integrated use. In ensuring the public and stakeholders are provided with opportunities for input into how the community forest is managed in an open and transparent manner. Burns Lake Community Forest Ltd. will manage and operate the Community Forest Licence Agreement in a safe, profitable, and innovative manner that enhances the forest resource while respecting the principles of integrated use, environmental stewardship, and public consultation. The corporation’s harvesting, silviculture, and forest management activities provide benefits for the province, the Village of Burns Lake, First Nations partners, all residents of the Lakes Timber Supply Area, and local and regional wood processing facilities in a sustainable manner. Safety will be the highest priority for BLCF, its employees, contractors, and consultants while conducting work for and on behalf of BLCF. In addition, the safety of the public will be paramount within the BLCF tenure area. BLCF will pursue opportunities to realize the best return from timber harvesting, provide sufficient revenue to pay for management of the CF and provide a financial return to the Province, shareholders, stakeholders, and the community. 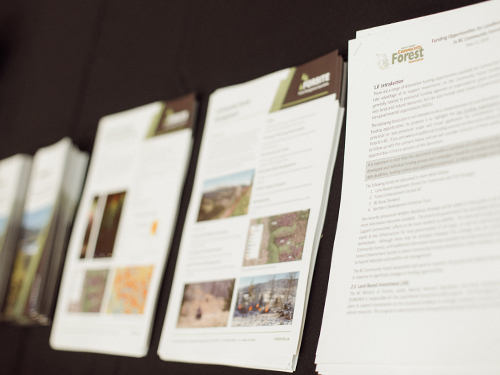 BLCF, in conducting its communication, planning, operational, and silviculture activities, will seek innovative approaches and solutions to these activities. BLCF will strive to continually enhance all forest resources, including timber, wildlife, cultural recreational, aquatic, and aesthetic within the community forest area. BLCF, while conducting its activities, will strive to consider and incorporate other forest uses within the community forest area. BLCF will incorporate sound science-based information recommendations in its forest management activities. 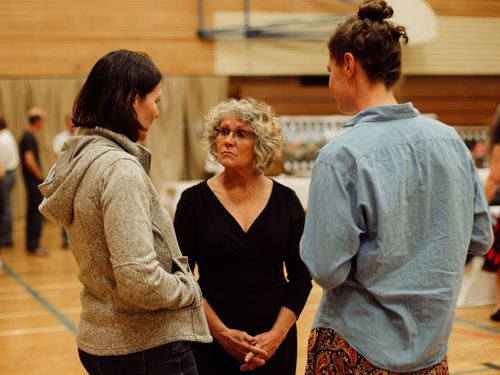 The province, First Nations, local governments, stakeholders and the community will be consulted regarding proposed activities within the community forest area. Taxes, royalties, rents, disbursements, donations, and other benefits will be distributed to the province, local government, shareholders, stakeholders, and the community from the profits generated from the community forest. Goods, labour, and services will be sourced from the local area to the extent it is available and cost effective to do so. BLCF is recognized as one of the most successful community forest tenure holders in B.C. Its governance structure and guiding principles have been used as models by many other areas seeking to manage local forest resources. The Burns Lake Community Forest incorporated in 2000 following overwhelming community support shown for more influence in forest management decisions that affected residents, First Nations and other stakeholders in the area. Since then, the people of the community have had many opportunities for input into the successful management of the BLCF. BLCF’s harvesting, silviculture, and forest management practises provide benefits for the Village of Burns Lake, area First Nations, all residents of the Lakes Timber Supply Area, the province of BC and local and regional wood processing facilities in a sustainable manner. 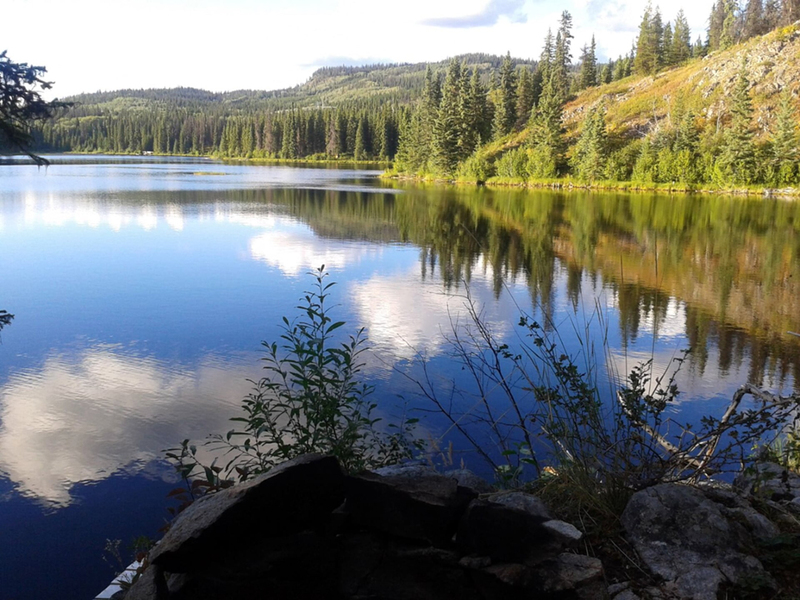 Burns Lake Community Forest Ltd. is a subsidiary of Comfor Management Services Ltd. (CMSL). It is governed by a six-member Board of Directors, including three members of the public at large, and three First Nations representatives from the Ts’il Kaz Koh First Nation, Wet’suwet’en First Nation, and the Office of the Hereditary Chiefs of the Wet’suwet’en. Ongoing management of the BLCF includes commitments to supporting the local workforce and mill operations while focusing on the social, cultural and environmental needs of the extended community. Diversifying from a reactive salvage program phase (based on managing Mountain Pine Beetle killed wood for the past decade) to a multi-resource management approach that will better serve the community in the future. Building and managing relationships with our local First Nations and community groups. 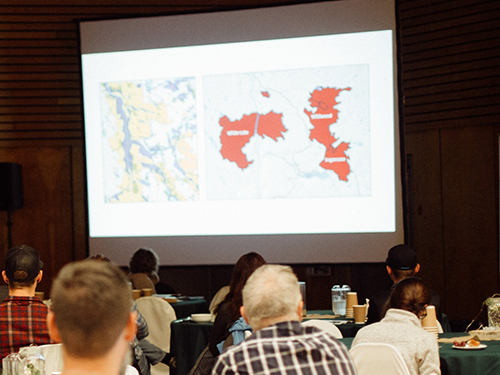 Integrating innovation and the use of technology in our forest management practices for initiatives such as designing harvest areas to meet visual objectives identified by the local communities and First Nations. Reducing the risk of wildfire to the Community Forest, local communities and First Nations through working with the appropriate government agencies.